1. What do you know about extractor? Do you know what an extractor is? 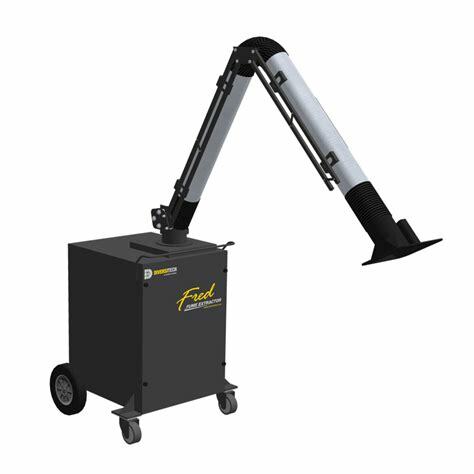 Is it a fume extractor? Or is it a washer extractor? 1. A person or thing that extracts. 2. (in a firearm or cannon) the mechanism that, after firing, pulls an empty or unfired cartridge or shell case out of the chamber and brings it into place for action by the ejector. 3. 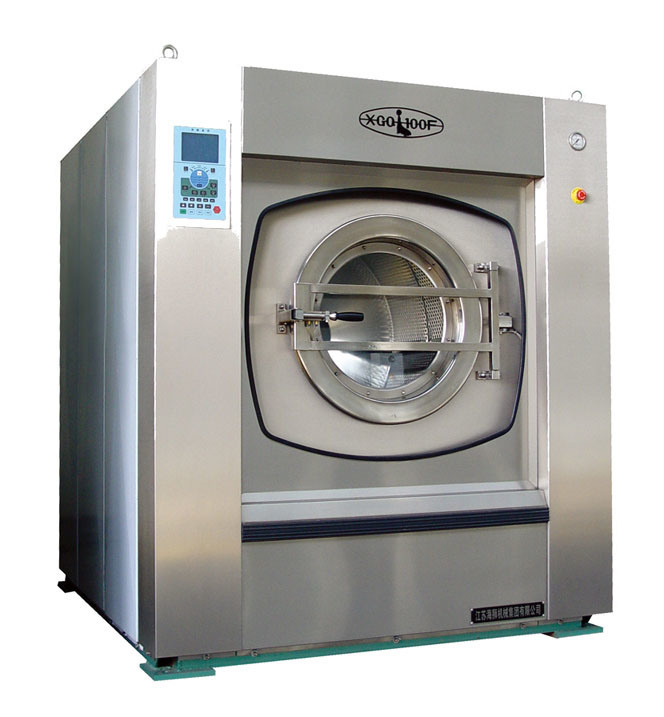 A centrifuge for spinning wet laundry so as to remove excess water. 4. Medicine/Medical, Dentistry, an instrument for drawing out, extracting, or pulling. But those are not the extractors we are talking about. What we are talking about here is audio extractor. There are various software that have audio extraction function on the market. And Leawo Blu-ray Ripper is definitely one of the best. 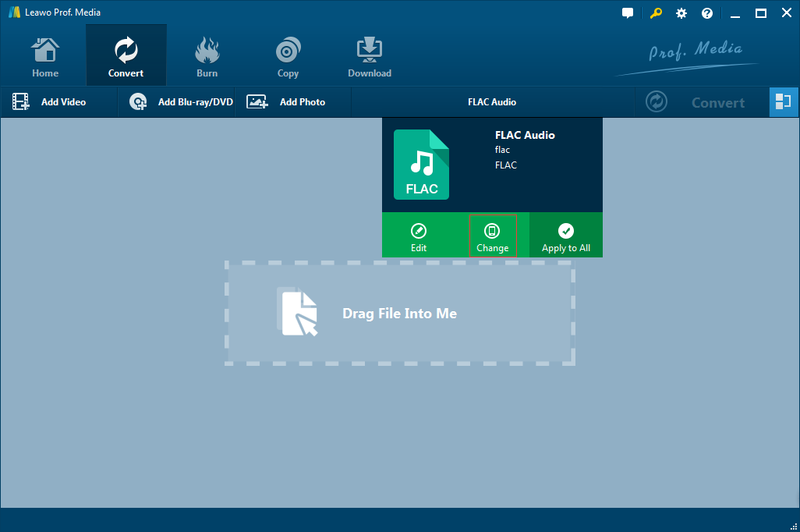 Leawo Blu-ray Extractor could rip and convert Blu-ray to video and extract audio off Blu-ray to save in all formats for any media player and device. 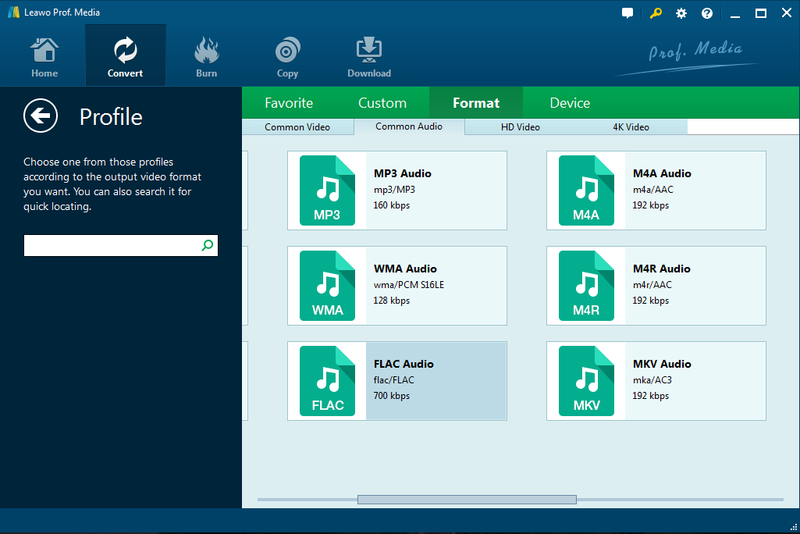 More than 180 video and audio formats are supported for output such as Blu-ray to MP4, Blu-ray to MKV, Blu-ray to AVI, Blu-ray to WMV; Blu-ray/DVD to MP3, AAC, FLAC, etc. In addition, Leawo Blu-ray Ripper has a high conversion speed. 3 types of GPU acceleration technologies: NVIDIA CUDA acceleration, Intel Quick System and AMD APP acceleration. It delivers high-speed conversion with satisfied quality, saving you’re a huge amount of time on ripping Blu-ray/DVD to video. 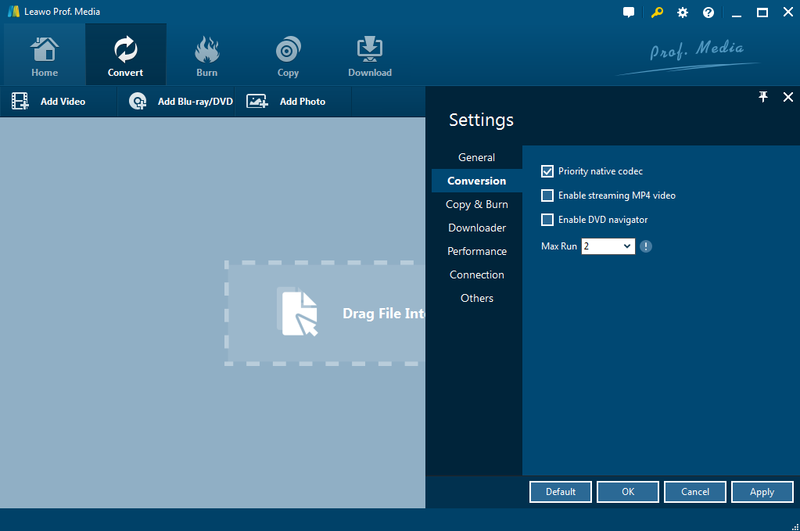 What’s more, this converter can convert Blu-ray to audio file with 100% any quality lossless. The Dolby Digital Plus and DTS-HD decoding technologies ensure 100% quality lossless audio out, together with up to 1080P HD video image. 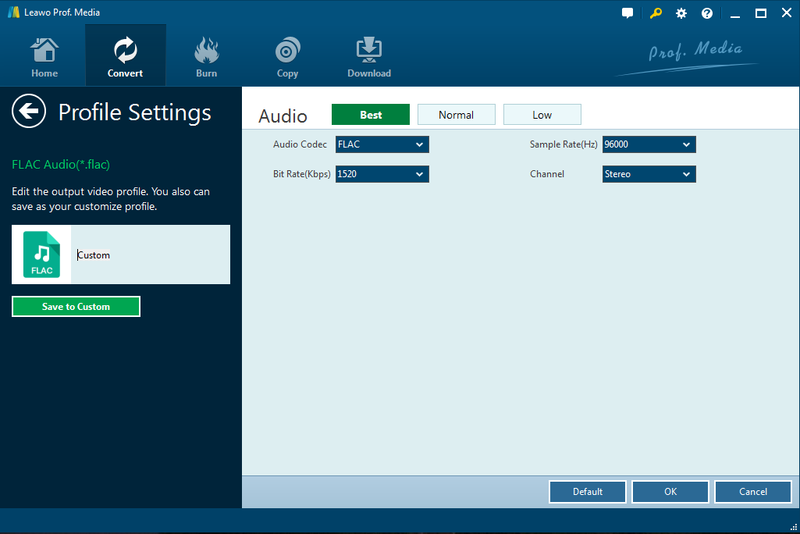 You can even set the audio parameters as well to get the better audio output quality. On top of that, the editing function it supports is amazing. 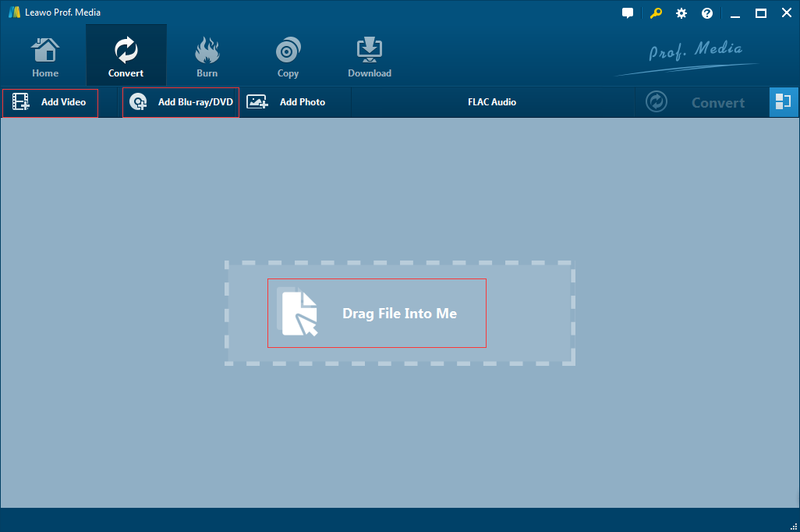 Leawo Blu-ray Ripper enables you to personalize Blu-ray videos or audios before or after converting to get more enjoyment, including: file merging, media editing, 3D movie creating, parameter adjusting, etc. You could make movie with your own patent easily. With Leawo Blu-ray Ripper, there’s nothing you can’t do with your Blu-ray content. b.extract part of the Blu-ray movie and then convert it to audio. 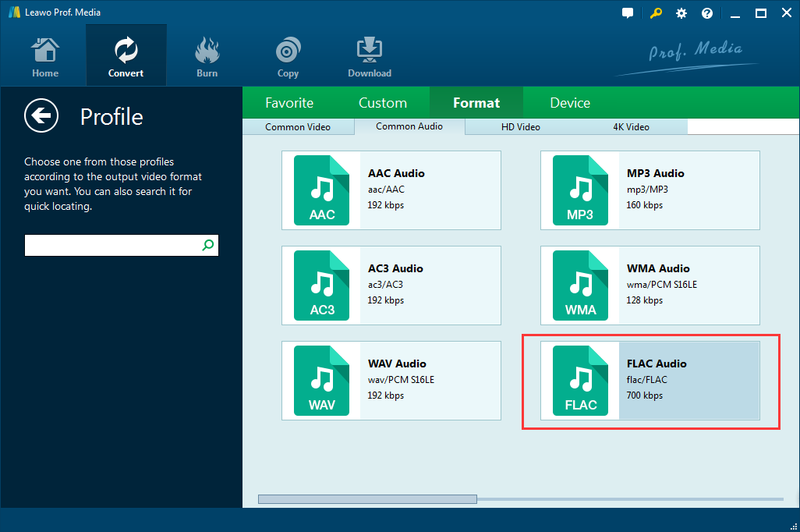 Here’s a simple tutorial on how to convert Blu-ray to audio using Leawo Blu-ray Ripper. Step 3: Introduce source video. You have three options to introduce source videos. Under Convert button, you will see two drop down boxes that says Add Video and Add Blu-ray/DVD. 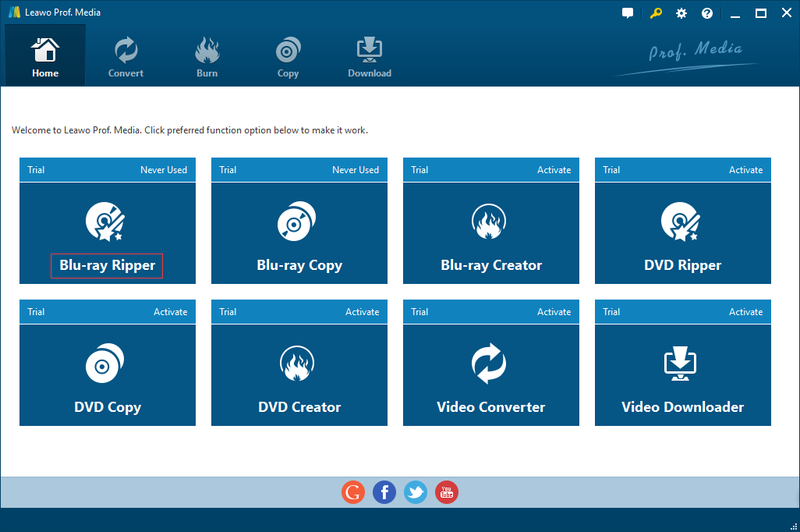 You can add video or video folder by clicking the Add Video button; you can add from CD-ROM (you need to insert Blu-ray DVD or DVD beforehand), add from folder or add ISO file by clicking Add Blu-ray/DVD; or you can drag file directly into the program. Step 4: Set the output format. Click the drop down box MP4 Video and then click change to launch a new interface where you can choose output audio format and device. You can also search for quick locating. Here I use FLAC Audio for example. Step 5: Set the parameters of the output audio. Click the drop down box FLAC Audio and then click edit to launch a new interface where you can set parameters to get better output audio quality and then click OK. Here I chose Best and set everything to the highest. Step 6: Start converting. Click the big green convert button to launch a side bar where you can choose your output folder. Choose Agree to the red notice to activate free conversion. Conversion speed is amazing. It only took me 5 seconds to convert a 3 minute Blu-ray video to a high quality FLAC audio. Several conversions can be made at the same time. With advanced disc protection removal technology, Leawo Blu-ray Ripper could decrypt, rip and convert Blu-ray discs with AACS, BD+ and the latest MKB protection, and CSS-DVD discs. Compared with Method A, You will need to do no more but a simple trim. Step 1: After you have imported the video, click the film icon on it. Step 2: Then there you are, in the editing interface. Trim any part you like by moving the little triangle sign beneath the playing bar or input the start time and end time. Then click ok to apply. Step 3: click the drop down box MP4 video and then choose change to select preferred output audio. Here I use FLAC audio for example. Step 4: Click the FLAC Audio drop down box again and then choose change to set related parameters of the audio same as Step 5 in Method A. Step 5: After the set the parameters, you are all set for conversion. Just click the big green conversion button. 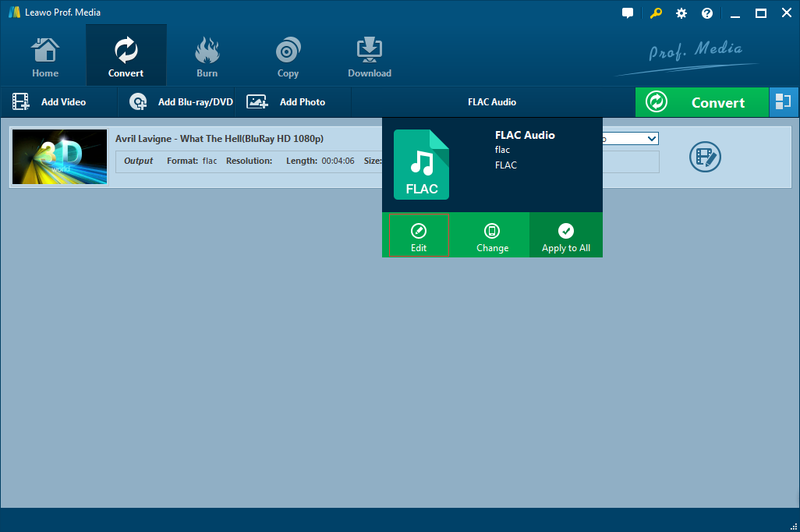 Leawo Blu ray audio extractor is everything you need to extract audio off Blu-ray DVDs. It offers different modes of audios depend on what quality and how much file size you want it to be. You can set different sample rate and bit rate to it. Set them all to the highest, and you will find the audio quality more than satisfying just like I did. After the introduction of audio/video extraction from Blu ray as shown above, you can also get to know how to extract audio from DVD here as well.